In the light of the recent 2019 ACC/AHA guideline recommendation on limited use of Asprin for the primary prevention of of cardiovascular disease, we are re-publishing Dr. Sundeep Mishra's view for the Indian doctors. Do we need to take ASA for primary prevention? "Based on all the presented data I would say that ASA is generally not useful in primary prevention of CAD, but it could be used in suitable (very-high risk patient) only after a thoughtful discussion between the patient and clinician," says Dr. Sundeep Mishra. ASCEND trial now clearly shows that ASA is not useful for primary prevention even in high-risk population like diabetics. Coming to populations at a low-risk for CVD, it is very clear that it is management of risk factors; anti-hypertensives if HT; statins if dyslipidaemic are more likely to help rather than ASA. ARRIVE trial has shown that in low-risk patients there is no benefit at all in terms of reduction of CV events rather there is more than double the risk of bleeding. So, ASA therapy seems completely un-warranted in these patients. 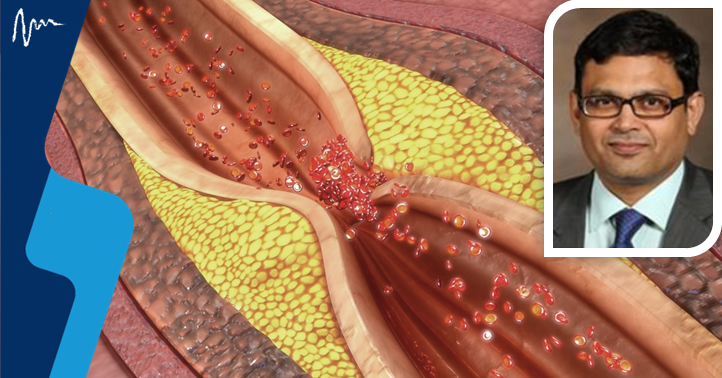 For long there has been a controversy on use of Aspirin (ASA) and statins in high risk patients with a view to prevent CAD. While it is now clear that statins confer a small but definite benefit in this context, the role of ASA is still unclear. In the past ASA has been perhaps used 'too liberally' in the belief that ASA reduces the overall risk. While ASA certainly reduces cardio-vascular disease (CVD) risk, the beneficial effects seems to be counter-balanced by increased bleeding risk. The recent ASCEND and ARRIVE presented at ESC Congress 2018 have shattered the high hopes for a wide application of Aspirin in primary prevention of ischemic cardiovascular events. In the ASCEND trial, Jane Armitage reported on outcomes in 15,480 patients without baseline CVD, but with diabetes, who were randomized to ASA 100 mg daily vs. placebo. The median age was 63 years, >1/3rd were females and >3/4th used a statin in both groups. At a mean follow-up of 7.4 years, daily intake of 100 mg of ASA was associated with (as expected) 12% reduced risk of serious vascular events (8.5% vs. 9.6%, p=0.01) but it also significantly increased the risk for major bleeding by 29% (4.1% vs. 3.2%, p=0.003). No effect on gastrointestinal or any other cancer was seen. The ARRIVE trial, presented by J. Michael Gaziano again enrolled >12,000 patients without baseline CVD or diabetes but at a moderate risk of major CV events (10 to 20% at 10-years). They were randomized to receive either 100 mg enteric-coated ASA or placebo. Again, median age was 63 and >1/3rd were females. In this trial, at a median follow-up of 5 years, there was no difference even in the composite primary endpoint of cardiovascular death, MI, unstable angina, TIA and stroke (≈ 4.5% in both arms), or in any of its individual components. The adjusted hazard ratio for ASA was 0.96 (95% CI, 0.81 - 1.13; P = .604). On the other hand, the risk of GI bleeding was more than doubled in the ASA (The HR was 2.11, 95% CI, 1.36 - 3.28; P = .0007), although in real terms the occurrence of severe GI bleeding was extremely rare (<0.1%). Haemorrhagic strokes were also rare, with a rate of 0.13% in the ASA group and 0.18% among controls. While role of ASA is well established in secondary prevention of heart disease, there is some controversy as to its usefulness in primary prevention in general population. But, what about high-risk patients? Diabetic patients represent this high-risk group and it was worthwhile to look for benefit in this population.The latest European guidelines had suggested that ASA may be considered on an individual basis, while US guidelines are more liberal with its use. “I feel there is a big difference between eating fresh fish and fish oil supplements. I would advise my patients to save their money and eat fish two or three times a week rather than popping fish oil pills," says Dr. Sundeep Mishra. Should patients stop eating fish? The positive findings supporting eating fish come from many observational dietary studies which themselves have several limitations. On the other hand, fish is a natural product and this study is with a derivative i.e. fish oil; natural fish could still be better. The role of fish oils in CV risk reduction has been controversial. Early research (1980s and 1990s) suggested that higher fish intake was associated with lower CV risk and thus omega-3 fatty acid supplements were recommended for secondary prevention of CAD. The use of fish oils was also extended to primary prevention. However, recent meta-analyses of RCTs did not show any benefit of omega-3 fatty acids in either primary or secondary prevention. Despite this fish oil supplements have been widely used amidst claims of benefits on the heart, brain, weight, vision, inflammation, skin, pregnancy, liver fat, depression, childhood behaviour, mental decline, allergies, and bones, and the global market for these products was valued at Rs. 21,000 crore in 2015. As previously described the ASCEND trial looked specifically at 15,480 UK diabetic patients (age ≥40 years) who were randomly assigned to omega-3 fatty acids, 1 g capsule/day, or placebo. Over a period of 7.4 years the average adherence to omega-3 capsules was 77%. Results revealed that there was just 3% improvement in CV outcomes which was not statistically significant (95% CI 0.87 - 1.08). Mortality also did not differ between the two groups. The only ray of hope for fish oil was that individual component of vascular death was 18% (significantly reduced with fish oil group: –2.5% vs. 3.1%; 95% CI, 0.68 - 0.98). Even with fish oils, the trial is only for primary prevention, there could still be a role in secondary prevention. Moreover, there is the issue of dose. What if we give higher dose than 1 g used in this trial? There is some evidence that a dose of 2 to 4 g daily would show some positive effect as these doses have a greater effect on reducing triglycerides. Of course, there could be a possible tolerability issue with such high doses. The writer, Dr. Sundeep Mishra is a Professor of Cardiology.